Infinite Light Yoga blends the wisdom of yoga with the science of exercise. Our yoga classes are for every-body regardless of age, level of ability, or physical condition. Reiki is a gentle form of energy balancing in which the body’s natural healing response is stimulated to reduce stress, enhance relaxation, and provide deep healing on all levels. Every massage we offer is customized to meet your needs, from hot stone to deep tissue massage. 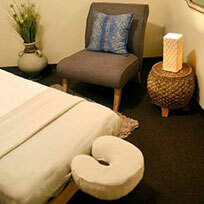 Reduce stress, decrease pain, and experience the bliss of a massage today. The deep penetrating heat of our far infrared sauna cleanses the body of toxins, strengthens the immune system and promotes relaxation and stress reduction. Become a transformational Yoga teacher! We offer the most in-depth 200 and 300 hour Yoga Teacher Training programs available. Our convenient schedule allows you to complete your training without interrupting your daily life. 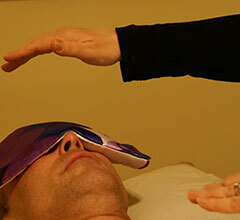 Harness your natural healing ability in our Reiki certification classes. Learn the skills you need to be a Reiki practitioner or teacher in our Usui and Karuna Holy Fire Reiki classes. Level I through Master training available. Visit the Infinite Light Shop for all of your Yoga and wellness needs, as well as a unique selection of inspirational gift items. 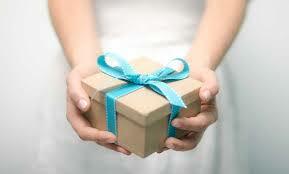 Gift Certificates available for any of the classes, services, or products we offer. Get yours today! 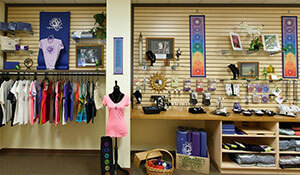 Infinite Light Center is a Syracuse based Yoga and Wellness Center located in the hamlet of Jamesville, NY. Our peaceful location is surrounded by nature and a tranquil atmosphere that creates a perfect sanctuary for yoga and wellness. We offer classes, trainings, wellness services & programs that inspire and empower you to live your best life. 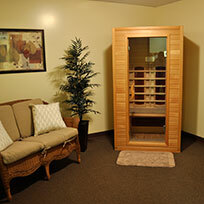 Melt your stress away with a Sauna session.